Kyle Miller doesn’t have to look far to find a teammate that has been through the rigors of playing Division III football before finding a career in the NFL. In 2006, Miller was about to embark on an All-American career at Mount Union, a perennial Division III contender, while eventual Colts linebacker Jerrell Freeman was wrapping up another All-American career of his own at Mary-Hardin Baylor. Although the two never shared the same playing field during college, they will be on the same sideline this weekend as Miller was called up to the Colts active roster on Monday afternoon. Miller entered the NFL in 2011 but did not make the Jacksonville Jaguars final 53-man roster after spending training camp with them. 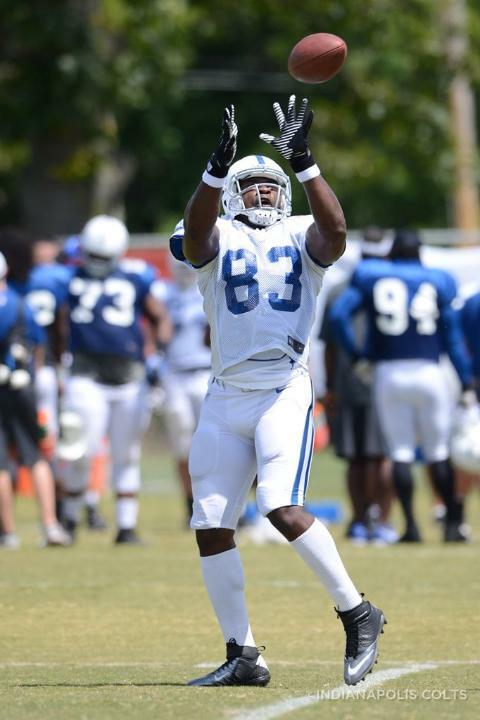 The Colts signed Miller on April 3, and he is now apart of one of the youngest position groups in the NFL. At the age of 24, Miller is the oldest of the group with Weslye Saunders (2 years of NFL experience, age 23), Dwayne Allen (rookie, age 22) and Coby Fleener (rookie, age 24) rounding out the tight end room for coach Alfredo Roberts. 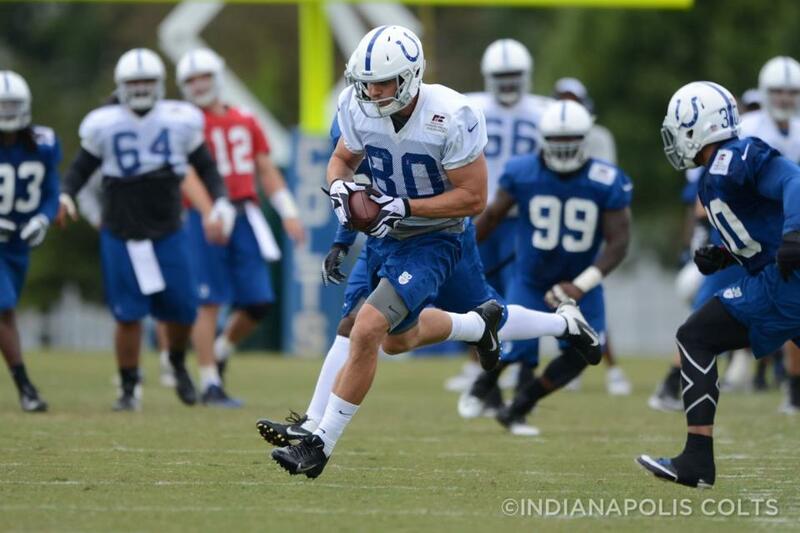 After spending the first 10 weeks of the 2012 regular season on the Colts practice squad, Miller will join his fellow tight ends in taking on the all too familiar New England Patriots this weekend. “Any football fan is aware of the rivalry and I think it takes on a little more with us being a little bit of a surprise team and both of us having good records too,” Miller said.